Lexar this week introduced its first external SSDs featuring a USB 3.1 Gen 2 Type-C interface. The SL100 Pro drives are lightweight, miniature, and offer a read speed of up to 950 MB/s, maxing out capabilities of the interface. 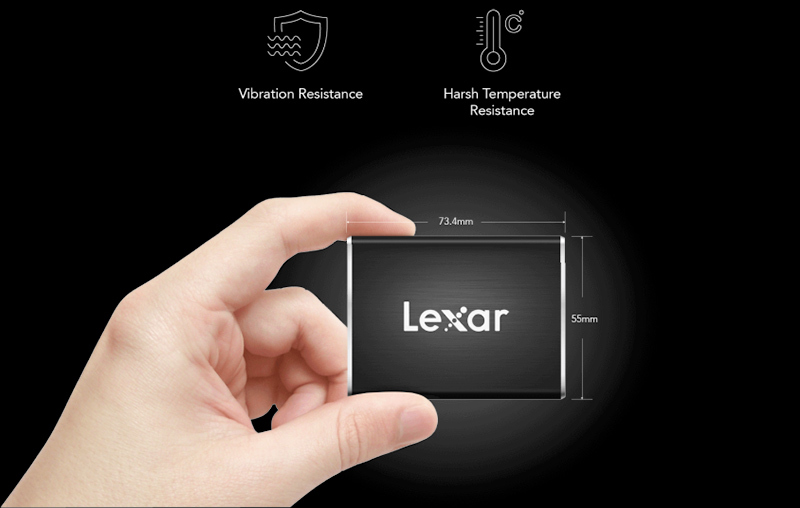 Lexar’s Professional SL100 Pro Portable SSDs will be available in 250 GB (LSL100P-250RB), 500 GB (LSL100P-500RB), and 1 TB (LSL100P-1TRB) configurations, targeting customers with different requirements. 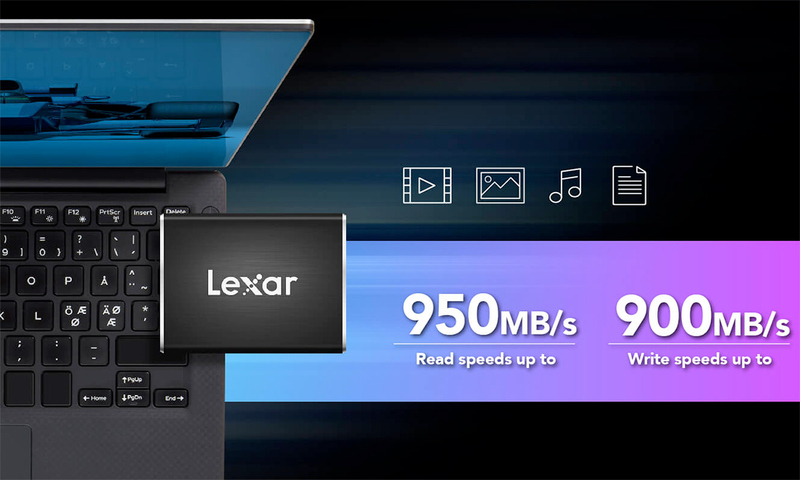 The drives are set to offer up to 950 MB/s sequential read speed as well as up to 900 MB/s sequential write speed, but Lexar does not specify whether all the SSDs in the lineup feature such speeds, or only the 1 TB version does. The drives are bus powered and feature a USB Type-C connector, yet the manufacturer will ship them both with a USB-C to USB-C as well as a USB-C to USB-A cable. Measuring 73.4×55×10.8 mm and weighing approximately 70.5 grams, the SL100 Pro Portable SSDs are as sleek as many high-capacity USB flash drives, yet their performance is considerably higher. Meanwhile, the SSDs come in an aluminum chassis that can withstand vibrations and drops. They are certified to to work in a temperature range between 0° and 70°C. Lexar will also supply DataVault Lite program with the Professional SL100 Pro Portable SSDs to encrypt files using AES-256 for maximum security. Lexar already lists its SL100 Pro external SSDs on its website, so expect them to become available shortly. Prices are unknown, but we do know that the drives are covered by a three-year warranty.